BROWNSVILLE, Texas — The air in Brian Beller’s office is drenched in the acrid scent of recently lacquered oak recovered from a World War II era ship. A row of dusty cash registers from the USS Des Moines, frozen with the price of their final sales, occupy the top shelf of a metal case behind Beller’s desk. His job is to find a home for these items, the incongruent remnants of Navy ghost ships haunting his office. “It’s kind of a service to the people that served on the ships,” he said. What man doesn't get excited at the idea of military surplus items? For someone like me who was once in the Navy, this is the mother lode of cool stuff. MEXICO CITY (AP) -- Scientists were fascinated by the ghostly find: a human skeleton buried in an Aztec temple with a clay, skull-shaped whistle in each bony hand. But no one blew into the noisemakers for nearly 15 years. When someone finally did, the shrill, windy screech made the spine tingle. If death had a sound, this was it. Actually, I think that the victim was formerly an axe owner who had believed in self-defense and the right to own axes, but had been disarmed by anti-axe forces in the Aztec government, who got axe control laws passed by demonizing axe owners and describing their axes as "assault axes with no legitimate purpose." To compensate Aztecs for complying with the axe control laws, the government distributed whistles, and said that if the citizens were in danger of attack, all they had to do was blow the whistle, and guards would come to help them. Didn't help this guy at all, did it? Dude had two whistles, one in each hand, and he still got killed by an axe-wielding criminal. When axes are outlawed, only outlaws will have axes. The grapes grown were chosen for their ability to thrive 4,000 feet above sea level on the slopes of Mauna Loa. With an average high temperature of 70 degrees Fahrenheit, the climate there is similar to the cool Pacific Northwest. Living the dream life. I envy them. Meet The Amazing Mr. No-Body! You don't believe that one, either? Well, click the link, then! 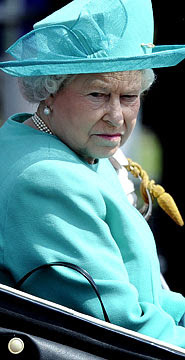 Queen Elizabeth II owns a McDonalds at the Bath Roads Retail Park near Windsor Castle. So does the place carry the royal seal and by appointment to Her Majesty Queen Elizabeth and all that? News from Rota, Spain, concerning gasoline prices on the US Navy base there. I lived in Rota in the mid-1980's, and my daughter was born there. It was a great place to live. EASTON, Md., June 26 (UPI) -- Employees of a Goodwill store in Maryland said they were shocked to find out a donated painting was by Impressionist Edouard-Leon Cortes and worth $40,600. The painting, left at the Goodwill in Easton, Md., in March, was sold at Sotheby's auction house in New York for $40,600, the Baltimore Sun reported Wednesday. One of those Antiques Roadshow moments. When I watch the Brit version of the show, I'm always hoping that one of the hopeful fans, when asked where (s)he found a particular something, will say 'ee, Ah stole it! Drudge loves these, he usually titles them "HOUSE OF FILTH!" Maybe she could hit J.K. Rowling up for a loan? "So if you don't like the courts getting involved talk to Mr Gore." Justice Scalia, a conservative justice who was appointed to America's highest court by President Ronald Reagan in 1986, said he and the other justices had no option but to intervene once Mr Gore sought to overcome Mr Bush via the lower courts. He said that he "of course" regretted that the Supreme Court had become involved. "But I don't know how we could have avoided it. Could we have declined to accept the case on the basis that it wasn't important enough? "And you know bear in mind that the issue wasn't whether or not the election was going to be decided by a court or not. It was whether it was going to be decided by the Florida court or by the United States Supreme Court, for a federal election. "So I have no regrets about taking the case and I think our decision in the case was absolutely right. But if you ask me 'Am I sorry it all happened?' Of course I am sorry it happened there was no way that we were going to come out of it smelling like a rose. "I mean, one side or the other was going to feel that was a politicised decision but that goes with the territory." He flatly denied there was any "partisan prejudice" involved in the 5-4 ruling, adding that "if you want to look for partisan decisions" then they could be found in the Florida supreme court's rulings. She wants to get in on that cougar stuff before she's too old. She's already moved back to NY, so presumably she'll be cruising Spanish Harlem in the limo, looking for Latino guys to pick up, just like the good ol' days before marriage. We had a new air conditioner installed yesterday. It took a full 8 hours for the crew to intall a new heat pump, heat exchanger, and digital touch-screen thermostat. It was 90 degrees inside the house when the new system went live, four hours when I woke for work it was down to 81, and 8 hours later after work it is now at 72. Blesséd coolness has returned to the house. Appropriate on the day I acquire a new handgun, huh? 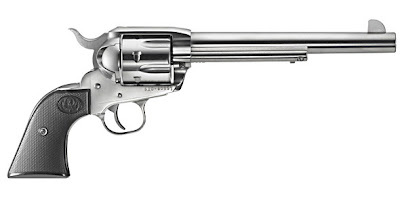 Update: In honor of the US Supreme Court decision in D.C. vs Heller affirming that the 2nd Amendment to the US Constitution is an individual right, I dub this revolver Heller. Treasure Blog: Gold Chalice, Santa Margarita. 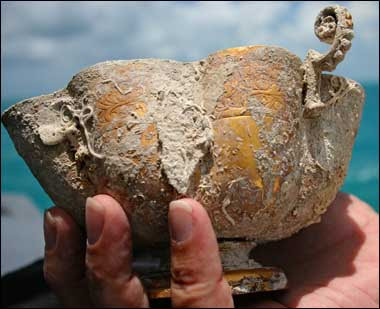 Divers working the Santa Margarita shipwreck site off of Key West, Florida, have found a golden chalice that dates to 1622. It needs cleaning, obviously, but it's in great shape. The lucky diver drank celebratory champagne from it. 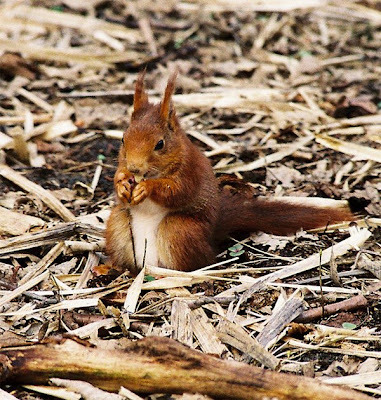 EDMONTON, Alberta, June 24 (UPI) -- Canadian and British scientists have found female red squirrels show high levels of multi-male mating, even with genetically related males. ...only outlaws will carry crossbows. David Brooks, in a NY Times op/ed, faces facts and admits that President Bush's decision to surge in Iraq has turned out to be correct. A mayonnaise ad depicting a gay New York short-order cook has not brought out the best in its audience. The commercial for Heinz UK’s New York Deli Mayo shows an apron-clad man in a kitchen making sandwiches for his kids before sending off his significant other with a kiss and urging him to come “straight home from work, sweet cheeks,” the Times of London reported on Tuesday. We'll call this the well, duh! moment of the day. Gays are only just starting to get married in this country, and you expect middle America to accept an ad like this? It'll take 100 years for homosexuality to find acceptance in the more rustic parts of the nation (if ever). You'll notice it's Heinz brand, I hope. Metallic Glass To Revolutionize Aircraft Industry? The finding could lead to aircraft that look like Wonder Woman's plane. 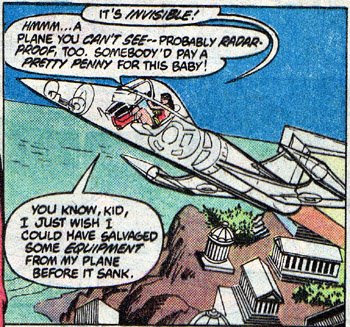 Such planes could have wings of glass or something called metallic glass, rather than being totally invisible. Or is it more like Transparent Aluminum? A reader at the Althouse blog first pointed it out, and I posted it on my LiveJournal at the time, but I'll repost it again here. Barack Obama is obviously the reincarnation of John Frum, the cargo cult deity from Vanuatu (New Hebrides). The story goes that, sometime just before WWII, an airplane landed on Vanuatu and the man who emerged from the plane identified himself as John from America, and proceeded to gift the astonished natives with the cargo from his plane. He promised the natives that, if they gave up their European ways that had been taught them by missionaries and returned to their traditional native religion, that he would return and shower them with more cargo gifts. The natives obligingly threw over their missionary-taught ways and went back to their own customs. WWII saw Vanuatu as an important base for US forces in the Pacific, and the islanders became accustomed to associating free stuff with Americans. Then one day, the Americans left for good, and the islanders, desiring more largesse, began building mock-runways, complete with flagpoles flying the US flag, to encourage the return of the cargo planes. The original cargo pilot, John from America, was immortalized as the deity John Frum, who distributes free stuff if only the islanders go back to their primitive ways. It seems obvious that Barack Obama is John Frum, or a close relative. He, too, wants to offer something for nothing, other than the promise to forswear missionary-taught (conservative) ways such as self-reliance, hard work, thrift, for the old customary ways of welfare, shiftlessness and sloth. It's seductive to certain people, judging from the size of Obama rallies. Free stuff! what could be better than that? And we don't even have to work for it! Quick, let's build a runway, and run up a flag made out of a Che Guevara t-shirt! 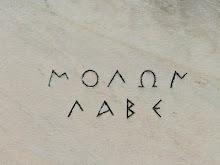 ...Ace's blog post about Sarah Palin is totally inspired, spray-your-drink funny. Go look at it. Reports that just before the incident he had said I swear to God I never thought I'd reach my forty-ni-- were unconfirmed as of this writing. Police in Tampa, Florida, arrested a man named God Lucky Howard for selling cocaine. Too many jokes present themselves, so I'll just be lazy and let you invent your own. Well, technically it was only her bra, but it was still DD. I think if she'd just jumped up and down a few times sans bra she would have been rescued even sooner. That's my story, anyway. Update: Welcome, Ace of Spades Morons! Also: Ace provides linkage that the girl in question isn't a DD. Well, damn. Her name is Bruinsma, which might be translated as "Bear's Mother." Ohhh-kay. In other news, a cat has been charged with rubbing against people's legs and hocking up hairballs. Don't you hate idiotic stories like this? The Navy and President Bush take it to the Supreme Court, hoping to show California's Ninth Circuit Court of Appeals who's boss. CrossFit: The Next Fitness Craze? Crossfit: The Workout Sweeping The Fleet. It's make up of a mix of gymnastics, cardio and Olympic-style weightlifting. I get tired just putting socks on, these days. How Good Is The News From Iraq? IED deaths are down 90% in the last year. Not that you're reading that in the MSM. Bastards. Put Global Warming Skeptics On Trial? Um...you do understand the meaning of the 1st Amendment, don't you, fellow? George Carlin has died of a heart attack. While some of his material was extremely funny, his most famous bit, the "seven words you can never say on TV" coarsened American culture in a way that has proven detrimental to the American culture. The latter period of his life saw him increasingly misanthropic and bitter; he turned political, alienating the conservative members of his audience with rants against Republican politicians and cultural leaders. Good with words and analysis of them, clever with the English language. Pretty funny, especially if you shared his politics. I don't, so I found him depressing to watch at times. Is it a law of some kind that air conditioners in the South only break down during the summer, and that furnaces in the North only break down during the winter? Our AC is on the blink. The service people were called, and said that the compressor has seized up, so a new system (this one is 14 years old) is called for; a $6000 expense our landlord will have to pay, since we rent. So fans have been purchased, and we're waiting word from the landlord (probably Monday) about when a new AC system will be installed. Hopefully it will be early next week. 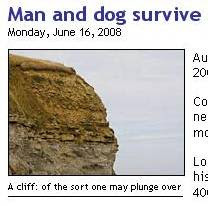 A man and his dog survived a fall over a cliff in southern England. The dog wasn't found at the scene, but, dog-like, made his way home and was found under the kitchen table. Which seems to indicate that, somewhere, there is the sort of cliff that one may not plunge over. Downloaded & Installed Firefox 3. Gene Behavior Affected By Lifestyle Choices? If true, the study might trigger even more government interference in lifestyle choice decisions than is seen now. Why'd this have to happen in the south, for chrissake? Haven't we been lampooned enough for Deliverance already? Kid was 13 years old and was tied to a tree for 18 hours. "Severed Foot" Serial Killer At Work In Canada? The severed foot that washed up on a beach south of Vancouver on Thursday almost certainly belonged to a woman, says the man who found the remains. It is also extremely unlikely that the latest foot discovery has anything to do with the other three right feet that have washed ashore on Gulf Islands during the last nine months, said Mike Ladislaus, caretaker of Kirkland and Gunn Islands, farming islands on the south arm of the Fraser River. 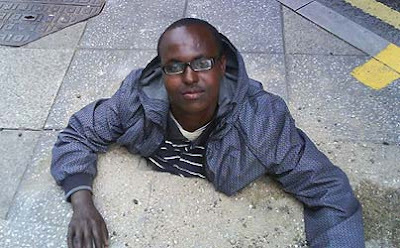 Ladislaus was doing his regular check of the Kirkland shoreline when Sophie, his nine-year-old golden Labrador golden retriever, found the running shoe containing the foot. He said the size and style of the running shoe made him believe it belonged to a woman. Ladislaus is sure the foot washed downriver because of the combination of high water, a fast-running tide and northwest winds, which brought loads of debris to the beach. "Anything caught in a back eddy will wash right up, so it's probably from up in the New Westminster area," he guessed. RCMP media spokeswoman Const. Annie Linteau said the gender has not been released "for investigative reasons" and said she would not agree with Ladislaus's estimates of the shoe size. "Nothing further is being released at this time, and the foot has been sent to the B.C. Coroners Service for investigation and DNA testing," she said. However, Ladislaus's theory that the foot came down the Fraser River is probably accurate, Linteau said. "I think it would be safe to assume that, but we are not engaging in any assumptions," she said. I think of rivers in Canada and I think of sawmills and lumberjacks, for some reason. You could do a hilarious Monty Python parody on this, despite the fact that it is a human tragedy and people are dying. This one is spectacular in how intact it is after 228 years. That looks more like only a year or two underwater than 228 years. Remarkable state of preservation. Well, that's what they do, after all. It's a good thing, though. Well done, beavers! I wonder if we 2nd amendment supporters are getting too cocksure about our chances to win Heller? We just lost an important case yesterday. For all we know, it could turn out to be the Year of the Liberals in which we lose the White House, Heller, and a filibuster-proof Senate minority. It's well worth the read. Very whimsical and endearing. Manson Family Murderer Susan Atkins, AKA Sadie Mae Glutz, is dying in prison. She's 59 years old now, grey-haired and matronly. She's been in prison most of her adult life. Should she be released from prison under a program that allows compassionate releases in such cases? "AT&T looking at charging heavy Internet users extra." Oh, it's about people who use the internet a lot. The Stress Management Center and Phobia Institute, based in Asheville, says 17 to 21 million people are affected by the fear of this day. In addition, the institute says, the U.S. Navy will not launch new ships on Friday the 13th. 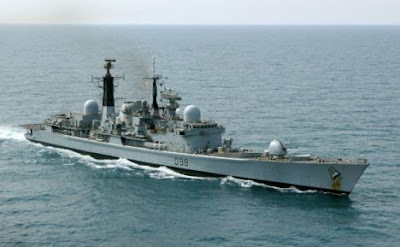 That might date back to 1796, when the British navy launched the HMS Friday on a Friday the 13th. The ship was lost on its maiden voyage and never heard from again. I'd never heard that before. I'll file that under Learn Something New Every Day. When three hikers on Washington's Mt. Rainier became trapped by a whiteout, Eduard Burceag lay down on the snow and offered his body as a warm mattress so that his wife and a friend would survive. It's easy enough to nitpick and fault them for lack of preparation, but the sacrifice remains. Rest In Peace, Eduard Burceag. Both McCain and Obama/Dems are committed to not drilling for oil in ANWR or our US coastlines. My prediction is that whichever one abandons this commitment before November, when gasoline is approaching $5 a gallon, will win the presidency. 5-4 decision, Kennedy joining the liberals. Unadulterated victory for the Left and the jihadists. The sort of crap we'll see regularly if Obama wins and appoints leftists to the Court. UK Scouts Under Attack, Too. Matthew McVeigh objected to part of the Cub Scout Promise which includes the line, "I promise to do my duty to God and the Queen". His mother Tracy wanted the pledge changed on religious grounds to: "I promise to do my duty to God and my country". But Matthew was told by the 1st Neilston Scout Group in Renfrewshire that unless he took the official oath he could not become a fully-fledged Cub. Mrs McVeigh, a Roman Catholic, complained the 1701 Act of Settlement specifically discriminated against her faith because it only allowed Protestants to take the throne in Britain. Mrs McVeigh, 29, a mother-of-three, said her son was an intelligent boy and did not want to make the promise "just for the sake of saying it". She added: "I was gobsmacked that the Cub Scout commissioner said that if Matthew didn't say the promise he would effectively be out the door. He said he could still go along to trips, but he would not be insured. "The Cub Scout Promise was worded way back in 1907 and, let's face it, times have moved on. Matthew aboslutely adores the Cub Scouts. "I am not asking for special treatment, I would just like him to be a Cub Scout without compromising what he believes in." Yes, of course you're asking for special treatment for your little pwecious. It's all these exceptions and special treatment that are ruining the UK. 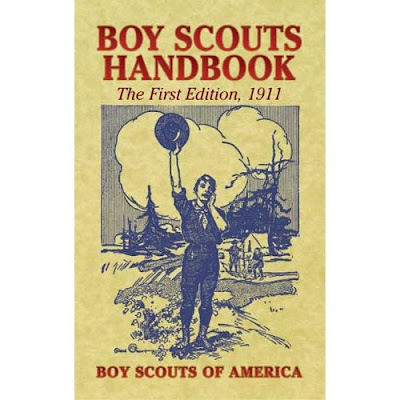 Good for the Scouts for refusing to knuckle under. "George Michael To Retire From Touring"
Touring men's rooms and dark public parks? He repaid a debt incurred in 1651 by his namesake, King Charles II. No, he didn't pay the interest. Knew you'd ask. Tory Shadow Home Secretary David Davis resigns his position in order to fight in a by-election for UK civil rights, which he says are being eroded by the UK government. Maybe it's the beginning of the Revolution over there, finally? edited to add: and here is a perfect example of what Davis presumably is fighting for. HONOLULU (AP) -- The Marine Corps said Wednesday it was expelling one Marine and disciplining another for their roles in a video showing a Marine throwing a puppy off a cliff while on patrol in Iraq. "That's mean. That's mean, Motari," an off-camera Marine is heard telling the Marine who tossed the black and white dog. The off-camera Marine snickered slightly afterward. Lance Cpl. David Motari, assigned to the 1st Battalion, 3rd Marine Regiment at Kaneohe Bay, is "being processed for separation" from the Marine Corps, the Marine Corps said in a news release. He also received unspecified "non-judicial punishment." NJP in the Marine Corps is referred to as "Office Hours," or used to be. It means that the Marine faces his commanding officer one-on-one, and the CO decides his punishment. There are guidelines that limit the punishments the CO may mete out; in this case, Motari was probably busted two ranks, to E-1, possibly fined and possible confined to base or quarters. (At sea, Navy Captains have the option to confine in the brig with 3 days' bread and water). You can't be given a Dishonorable or Bad Conduct Discharge as part of Non-Judicial punishment, that can only be done by court-martial. Apparently Motari was close enough to the end of his enlistment that it was decided to allow him to separate under a general discharge. Having been punished with NJP, Motari will forfeit any chance of receiving the Good Conduct Medal. No other details are released by the Marine Corps, including the most important: was it an actual live puppy that Motari threw? We may never know now. Should Republicans Wear Red Business Suits? NEW YORK (AP) -- It's better to be on the red team than on the blue team in an online multiplayer shooting game, according to researchers. The scientists studied the outcomes of 1,347 matchups between elite teams playing "Unreal Tournament 2004," a so-called first-person shooter game. The main activity in the game is running around and shooting at the avatars of the opposing team. Another study found in 2005 that wearing red is an advantage in real-life sports. British scientists found that athletes wearing red in one-on-one events like wrestling at the 2004 Olympics were more likely to win. So we wear red this year? We need every little bit of help we can get, probably. Condé Nast article by Mark Schatzker, who's something of a retard, apparently. It takes him an entire screen page to begin talking about french toast, and when he finally produces the recipe he doesn't include measurements, I guess he presumes you'll know them already. The recipe is a combination of ingredients and technique. To my mind, you have to use Challah bread to make good french toast; King's Hawaiian Bread would probably work well, too. Slice it and let it get stale for an hour or two before you use it. Here in Charlotte, NC, the place to go for French Toast is the Landmark restaurant on Central Avenue. It's Greek-owned, open 24 hours, and the menu is comprehensive. Huge portions, as they are at most Greek-owned places. The French Toast is made from Challah, sprinkled with powdered sugar, syrup on the side. 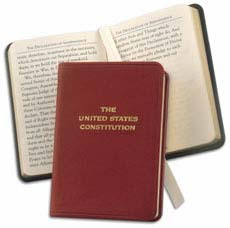 Leather-bound miniature copy of the US Constitution and other important historical documents, from Fahrney's Pens, $21. It's always helpful to have actually read these documents, so you don't embarrass yourself when you argue points about them, and it's not as if you'll read them in contemporary US schools, right? Probably Amway salesmen. Any hotel worker will tell you that Amway salesmen are the scum of the earth. I can't stand them, myself. Scientists are working on a car that gets 100 MPG on the road. The secret policeman wasn’t smiling. It just looked like that because his false teeth didn’t fit correctly. I was relieved. If Russian writer Isaac Babel is to be believed it’s when secret policeman start grinning at you that you should begin to worry. “Think about it,” he said as he ran his fingernails along the right lapel of a navy double breasted blazer that was miles too big for him. His eyes were dark and squinty and his skin yellowy white. He was small, grey haired and not terribly menacing. “I’m sorry?” I said, unsure that I had heard him correctly. He repeated his offer. 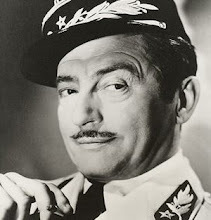 “Any book in Hemingway’s library for two hundred dollars,” he said in carefully enunciated English. 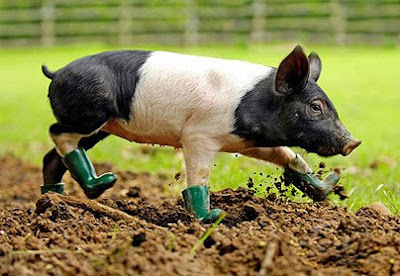 Cinderella, the pig in Wellington Boots. A "dead" man awoke just as surgeons were preparing to harvest his organs for donation purposes. The National World War I Museum in Kansas City, Mo., has announced that its Eternal Flame, which has burned since 1919, may need to be turned off due to budget cuts. The flame has served as a national symbol to those who served and died in the war. Donations can be made at www.SaveTheFlame.org, or on the museum’s Web site at www.nwwone.org. Donations can also be mailed directly to the museum at 100 W. 26th St. Kansas City, MO 64108. Checks should be made payable to the “National World War I Museum”, with “Save the Flame” on the memo line. Germans and other Europeans can't be bothered to protest the visits of President Bush in their countries anymore. John S. Zinsser Jr., who as editor of Reader’s Digest Condensed Books in the 1960s, ’70s and ’80s made nearly 800 carefully crunched versions of popular books available to millions of readers, died on May 27 at his home in West Cornwall, Conn. He was 84. The cause was a heart attack, his son Stephen Wadsworth Zinsser said. Mr. Zinsser was associate editor, executive editor and later editor in chief of Reader’s Digest Condensed Books from 1951 to 1987. The series, which began in 1950 and ran 47 years under that name, provided subscribers with three to six shortened best sellers in anthologies that were, at first, published four times a year, and later every other month. It is now known as Reader’s Digest Select Editions. Among the authors whose works were edited under Mr. Zinsser were William Faulkner, Herman Wouk, John Steinbeck, Daphne Du Maurier, Thor Heyerdahl, John P. Marquand, Frederick Forsyth, Ken Follett, James Herriot, Peter Benchley and John le Carré. I read a bunch of these that my paternal grandmother left on her bookshelves after she passed away, and I still have several in my library: Reader's Digest Best-Loved Stories For Children, featuring such tales as The Adventures of Sherlock Holmes, Treasure Island, Robin Hood, Tom Sawywer, The Scarlet Pimpernel, et. al. Later, reading unabridged versions of the same books, I often found I preferred the Reader's Digest versions. These editions often featured specially-commissioned art; the artwork and treasure map in Treasure Island are on a par with the N.C. Wyeth editions. Some in the media are wondering whether the preferred GOP strategy of demonising liberals will work this year. It shows how successful the strategy has been since the 80's, but the younger generations aren't familiar with the damage done by liberal presidents and Supreme Courts. Us older folks remember how clueless and incompetent Jimmy Carter was, and how badly the Warren and Berger Supreme Courts hurt the US with their criminal-friendly decisions and judicially activist decisions (abortion). Democrats in Congress really would like to change the US military's "Don't ask, don't tell" gays-in-the-military policy, but don't want to wake up values voters who would oppose it by voting for John McCain in November. The adviser calls it sabotage, the principal finds it embarrassing and the superintendent is offended. The students see it all as a matter of freedom of speech. Shasta High published its last issue of the Volcano, the student newspaper, before the end of classes last week with an image on the front page of a student burning the American flag and an editorial inside defending the practice. "The paper's done," said Milan Woollard, Shasta High principal. "There is not going to be a school newspaper next year." Shasta had been looking at cutting the paper already -- funds are tight as the school anticipates receiving fewer state dollars from Sacramento this fall, Woollard said. "This cements that decision," he said. Canada is suffering from a dearth of foreign-born strippers. Does that reflect on the quality of the native talent? 165,000 condoms were shipped to an Antarctic research station to meet the needs of its staff of 125 people. 165,000/125 works out to 132 condoms per person, which is enough for two screws per week, with 18 condoms left over for use as party balloons, presumably. WASHINGTON — NASA is asking private industry to come up with creative ideas for a lunar outpost that can house four astronauts for one to four weeks on the moon starting about 2024. The moon base must be equipped to send out crews for hundreds of miles in pressurized rovers, bring back scientific samples and return them safely to Earth, NASA officials said. Novel packaging systems are needed to protect the astronauts' equipment during the intense vibration of a rocket launch. To save space and weight, Leonard urged the executives to consider an edible foam material that could be disposed of when it's done its job. "Maybe they could eat it," he said. 3. Boost the US Dollar by raising Federal Reserve interest rates. The story notes that none of the 3 methods is likely to be acted upon. Get out of jail, immediately commit another violent crime. He was released early because of prison overcrowding. Building more jails apparently is not part of the solution in UK. No wonder emigration is skyrocketing. We'll PRETEND That There Are Missiles. CO to XO: Right. When I say "Fire!" 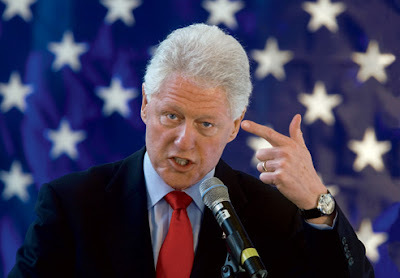 I want you make missile-firing noises. Swoosh! Swoosh! Like that, get it? XO to CO:You're not seri--er, um. Aye, Aye, sir. Swoosh it is. 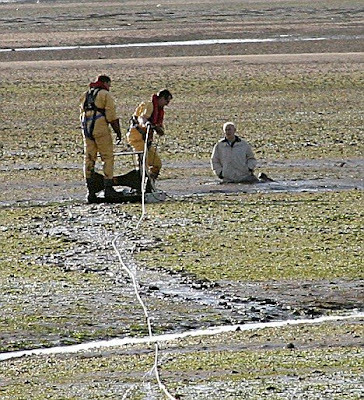 A retiree decided to take a short cut across the tidal flats of an estuary and found himself trapped waist-deep in mud. It's easy to panick in this situation and work yourself in deeper; in this case, although the man stopped moving (and thus stopped sinking) he was still in danger of drowning when the tide came in. How do you escape from mud or quicksand? Fall backwards so that you are lying on your back, then work your legs in a bicycle-peddling motion until they are free; once your legs are free, you can roll across the mud to firmer ground. Guy Ritchie To Film Sherlock Holmes Movie? I bet he'll make him gay and cast his wife Madonna as Irene Adler. A Bulova wristwatch lost in 1941 in Gibraltar Harbor is back with its owner - - and it still runs. Lieutenant Teddy Bacon should offer the watch to Bulova to photograph for advertisements. Great story. I love this sort of stuff. 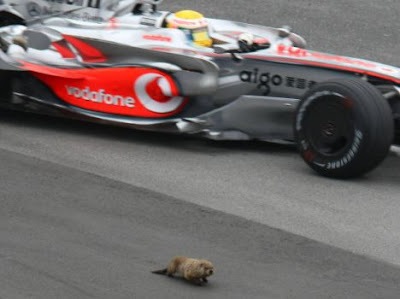 Formula 1 Beaver Causes Crash? The Daily Mail says so, so it must be true. Entrepeneurs in Cuba's urban areas are growing vegetables for profit - - and Cubans are developing a taste for them, bringing both health and wealth. NOT a Fidel Castro innovation. Canna Island in the Hebrides. HONOLULU (AP) -- Federal officials have confirmed what biologists have long thought: The Caribbean monk seal has gone the way of the dodo. Humans hunting the docile creatures for research, food and blubber left the population unsustainable, say biologists who warn that Hawaiian and Mediterranean monk seals could be the next to go. The last confirmed sighting of a Caribbean monk seal was in 1952 between Jamaica and Mexico's Yucatan Peninsula. The National Oceanic Atmospheric Administration's Fisheries Service confirmed Friday that the species is extinct. Kyle Baker, a biologist for NOAA's Fisheries Service southeast region, said the species is the only seal to become extinct from human causes. Doesn't look good, does it? Yet you occasionally hear of a species that was considered extinct that turns up again, and usually the local inhabitants say Oh, those? They've always been around. We didn't know you meant those. Hopefully that might be the case with the Caribbean Monk Seal. 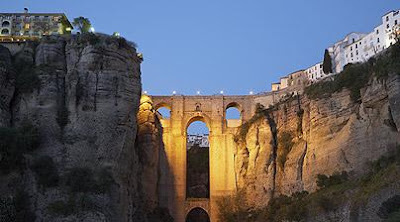 I visited Ronda when I lived in Spain; it's extremely picturesque, up in the mountains. I recall our guide looked exactly like Edgar Allan Poe. Director Orson Welles, a Hispanophile, is buried outside of Ronda in an abandoned well. Egypt: Hey, Look: A Pyramid! A disappointing sort of story, actually; it's just the base of a pyramid, and it had been buried by desert sand for over 100 years. No way in hell he'll succeed with the gun control agenda he has plannned. Scientists think they're qualified to monkey with the world climate by proposing pseudo-volcanic eruptions. HUBRIS ALERT! This is an insane proposal. It presumes that world climate needs monkeying with in the first place (pause while all the global warming advocates scream IT DOES! 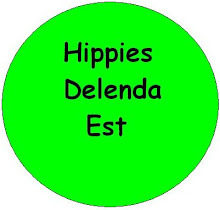 ), which isn't settled. Second, science needs to prove an ability to manipulate weather before presuming to manipulate climate. 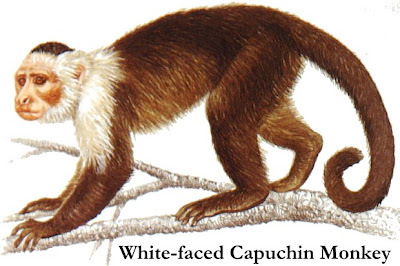 I think we need some sort of mechanism whereby a scientist proposing such world-changing ideas is slapped repeatedly in the face by a Capuchin monkey. 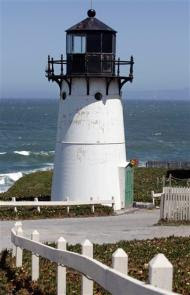 A Cape Cod lighthouse apparently took Horace Greeley's advice to heart, and moved to California. What's funny about the story is that there are apparently no records of the move, or in typical US fashion, the records were lost/misplaced/destroyed. And as for that second question, What if there were no gravity on Earth? Well, Barack Obama would fix it. Barack Obama can fix anything. Chris Muir's Day By Day for today snarks similarly. Report: Brit cops serve gov't, not people. LONDON, May 30 (UPI) -- A British think-tank reports the country's police are putting a greater priority on government goals than serving the public. Think-tank Civitas said pressure from the British Home Office to meet law enforcement goals is causing police to seek prosecution in cases that previously would have been dismissed by officers, The Telegraph reported Friday. "The police seem intent on criminalizing those whose offenses, if they can be regarded as of fences at all, are trivial," the report said. 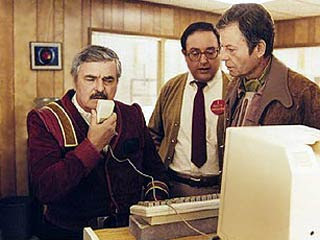 The think-tank said the "trivial" matters prevent police from dealing with more serious issues reported by the public. Robert Peel, who was the father of modern policing in UK, had this to say about the relationship between police and the public: The police are the public and the public are the police. When the police lose sight of this they have failed in their primary mission. 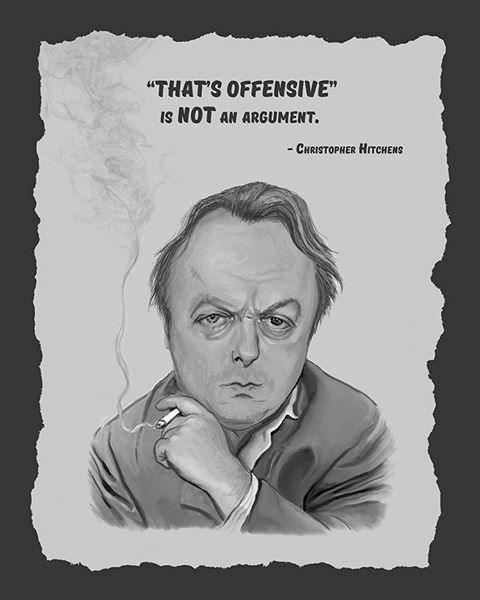 Hitchens Review Doug Feith's Book. He's complimentary about it, and dismissing of McLellan's useless book. (QUITO, Ecuador)— A volcano on the largest of the Galapagos Islands has begun erupting and authorities are evaluating possible dangers to the island's famed plant and animal life, officials said Friday. Rangers and tour guides spotted lava flowing down the northeastern flank of the Cerro Azul volcano on the seahorse-shaped island of Isabela late Thursday, the Galapagos National Park said in a statement. Ecuador's Geophysics Institute said that satellite data and a flyover of the island by park officials showed a "small amount of ash" coming out of the volcano, located on the southwestern edge of the island. 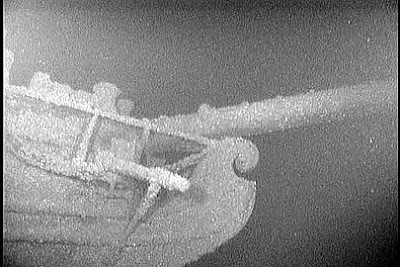 The US Navy is searching for the wreck of the Bon Homme Richard, the ship of Revolutionary War hero John Paul Jones. No, I was never a Boy Scout. I was a Cub Scout for one year, but didn't take it all that seriously. 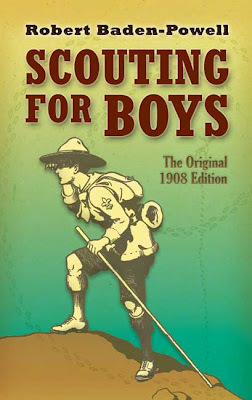 I bought these books for the camping/woodcraft angle, to see how things have changed in 100 years. Ha ha! In Your Dreams, Right-wing Wackos!